Our range of products include methyl iso butyl ketone. 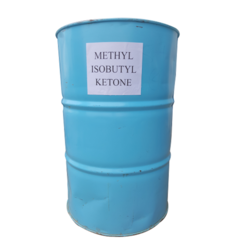 Supplier of Methyl Iso Butyl Ketone (MIBK). We have come up with an extensive range of Methyl Iso Butyl Ketone, which is made in accordance to the varied demands of clients. It is widely used in industrial applications and are made as per the international quality standards. Looking for Methyl Iso Butyl Ketone ?